I have so many images in my head I want to take, the other day I got to take one of them. The pictures in this case was the snow blowing off a peak, while the sun is setting. 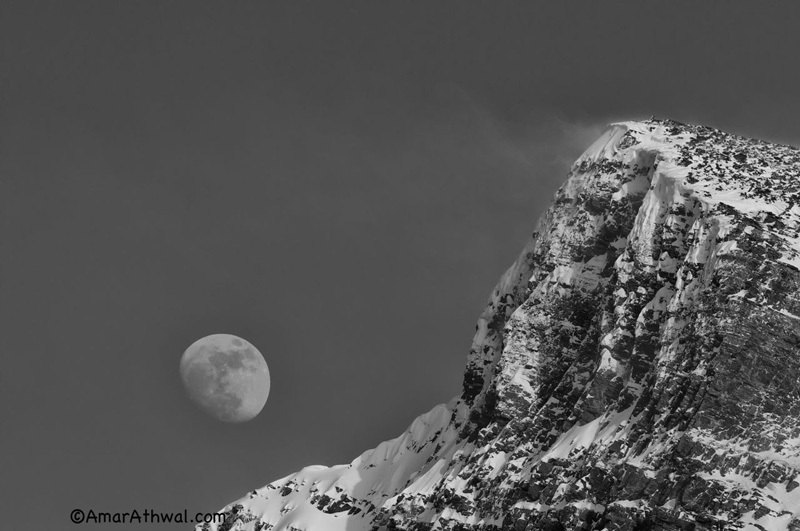 The moon is rising to meet the blowing snow off the mountain. The hardest part was being at the right area, at the right angle to make it all happens. There were so many variables involved here, but that's the fun part of the challenge. When I saw what was taking place in the evening last week, the realty had matched the image in my head.